When surveyed by the National Wood Flooring Association (NWFA), 82% of realtors said that homes with hardwood flooring sold faster and for more money. Even less expensive options such as locking or engineered wood products are valued by home buyers more than carpet. Whether you're listing your home for sale or want to enjoy the benefits of hardwood for years to come, wood floors are a great investment, in Savannah or anywhere else. Hardwood flooring is one of the most dramatic ways to add class to a room. Whether you’re aiming for a traditional and timeless look or modern vibe, hardwood is a great solution that will never go out of style. In a separate NWFA survey, 96% of interior designers agreed that wood flooring works well with many decorating styles and lends a sense of permanence to a space. Some high-end products such as exotic hardwoods can be refinished with stain, clear coats or even painted if you want to change their look and feel in the future. Hardwood is much more forgiving than carpet. Homeowners with children or pets, those that like to host parties or simply can’t commit to leaving their shoes at the door 100% of the time (always a pain when you have to run back through the house to grab your sunglasses or turn off the security alarm). It is fairly easy to keep wood floors looking great with simple sweeping and vacuuming (consider a robot vacuum such as the Roomba to keep dust bunnies and animal hair at bay) and is less allergenic than carpets in which dirt and dander gets caught in the fibers, impacting indoor air quality. The lifespan of your flooring depends greatly on the quality of the material, maintenance and amount of foot traffic. At best, residential carpet can last for 8 to 10 years before fibers become old and frayed, and stains set in. Hardwood on the other hand can often last 50 to 100 or more years due to its incredible durability and ease of maintenance. 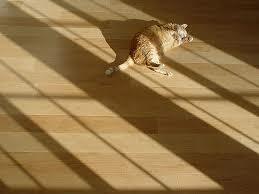 This is not to say that hardwood cannot be damaged - some products are more prone to scratches and dents. Water damage can destroy any type of flooring material and staining can occur if spills and leaks are not properly addressed. The cost and hassle of replacing flooring 5 to 10 times more often is a compelling reason to consider hardwood alone. Unlike synthetic carpet or even natural stone or tile, wood is a sustainable and regenerating resource. Reputable manufacturers of hardwood flooring responsibly source their materials and take care to minimize their impact on the environment. Engineered hardwoods, faster growing species such as bamboo (which is actually a variety of grass), recycled hardwoods and those grown on managed plantations (not at the expense of natural forests) are all available making wood flooring a quality ecological choice. With all of these great benefits, hardwood flooring is an option worth serious consideration. There are a variety of factors however that must be taken into account before you start tearing up your carpet. Installation can be a challenging, moisture coming up from concrete slab foundations should be tested and perfectly matching existing areas of hardwood flooring is nearly impossible - learn more about these hardwood flooring considerations here. Eckards Flooring and Design Center has hardwood flooring experts in Savannah, GA and in Bethany, Carrollton, St. Joseph, and Stanberry, MO. Eckard’s Flooring Design Center is a family business with over 50 years of experience and can help you every step of the way to design and install your perfect floor.